Here is this week’s curated collection of announcements, articles, blog posts, and news from the software testing community covering the days of Jan 14th – Jan 20th, 2018. 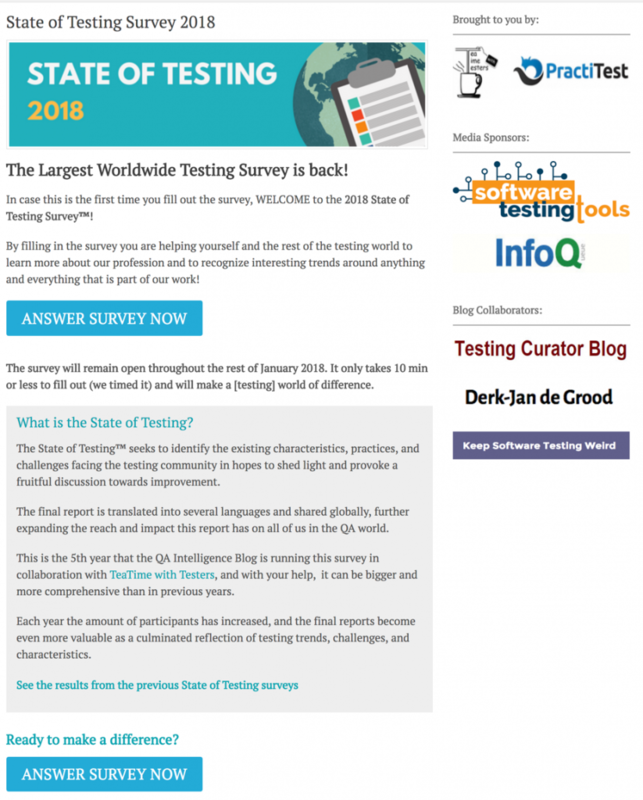 Here is this week’s curated collection of announcements, articles, blog posts, and testing news from the software testing community covering the days of Jan 7th – Jan 13th, 2018. Here is this week’s collection of articles, blogs, and announcements covering the days of 12/31/17 – 1/6/18.